Good news - the Metal Gear retrospective is 100% complete and ready to go in the new year! I'll be posting the first part on the 1st of January, and then a new post every second day thereafter, so be sure to tune in! It has been a lot of fun to go through the whole series and write up these analyses, so I hope you find them enlightening and enjoyable as well! First up this week is "Black Magic Woman / Gypsy Queen" by Santana from the album Abraxas. There's a good chance that you've heard this song before, as it is a classic (plus it was in Guitar Hero III). 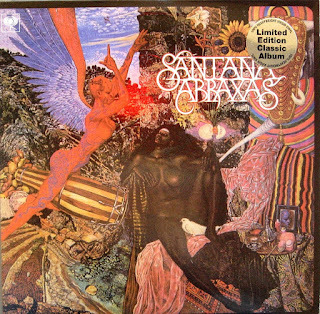 There isn't really much of a story behind me picking this song, I just really like it, it's a great example of a guitar-driven song and a good demonstration of the oddly "spiritual" quality to Santana's music. 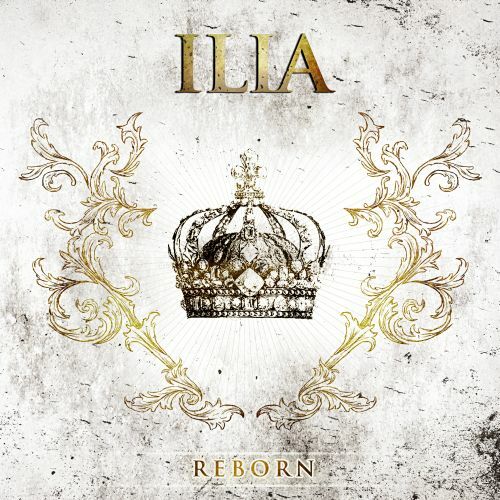 Secondly we have "My Allegiance" by ILIA from their EP Reborn. Back when Weathered Steel was still in business, they used to play ILIA all of the time... which was annoying, because they are distinctly not a metal band. It isn't that their music is bad by any means, but when you have an upbeat Christian rock song sandwiched between 2 angry death metal songs, it makes them feel very out of place. However, "My Allegiance" was their only song that felt like it might have a place on Weathered Steel, in part due to the bridge where lead singer Suzy Martinez just suddenly starts roaring for a couple verses. It's unexpected considering how low-key most of their music is, but it's a cool, passionate moment which puts the punctuation mark on an already-enjoyable song, cementing it as something special to me. However, I recently bought Reborn and discovered that there's a "radio edit" version of "My Allegiance". As someone who enjoys heavy music, I knew exactly what this meant - a "screamless" version. Lo and behold, that is exactly what the "radio edit" is, an otherwise identical version of the song, if not for the screams being replaced with watered-down, regular singing. It's a really disappointing difference to me, which just deflates the song in my opinion. I enjoy when an artist is willing to scream in a song as it often gives them a further degree of passion to express themselves with. Furthermore, I have a sneaking suspicion that ILIA felt like they had to water the song down in order to get "My Allegiance" played on Christian "rock" radio... with heavy quotation marks around the "rock" bit. Christian rock tends to be musically neutered in comparison to real rock, which probably goes some way to explaining why it has such an awful reputation. I wouldn't be surprised if ILIA agrees - after all, they did make the "official" release the one containing the screams. SJWs Part 1: Warriors, Come Out to Plaaaaay!